The intense competition in business means customers should not be given any reason to complain. If you are dealing with logistics and transport, then ensuring the swift delivery of goods is a given. However, the warehouse is not always treated the same way as the production unit. In other words, businesses might use the latest machinery or technology to augment its production capabilities, but when it comes to the storage, weighing and delivery of finished goods, the age old manual processes are practised. 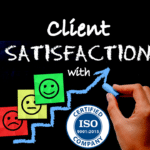 Today, when customer satisfaction is treated as sacrosanct and is directly related to the speed at which goods are delivered, using manual processes in warehouses or logistics hubs can induce delays and breed inefficiency. To get around the situation, businesses should install modern pallet scales, besides other equipment, to streamline the workflows and improve efficiency. Does this mean one should cut corners and install pallet scales of any make? Remember, the objective is to improve the efficiency of processes and reduce lead times, and so, the pallet scales should be chosen from a reputed brand. 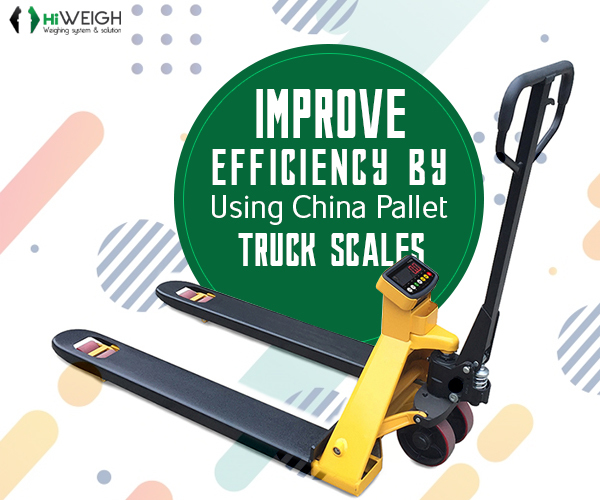 And when it comes to building quality certified scales and balances with advanced features and functionalities, very few can match the standards of a China pallet truck scale from HiWEIGH. Importantly, since the warehouses are mostly closed spaces with conditions that are often dusty and wet, the pallet scale should be dust and waterproof. If not, the scales may face downtime and maintenance issues from time to time. So, why choose a substandard pallet scale and suffer the consequences of latency and downtime when one can opt for the best – pallet scales from the ISO 9001 company HiWEIGH with years of experience behind it. Why should one install the China pallet truck scales from HiWEIGH? The rugged and compact scales have a range of features making them user friendly. These include the presence of rugged forks, a LCD display that can be read even under bright sunlight, and an RS232 terminal connecting digital devices among others. The many advantages of installing such scales are given below. A responsive customer care team working 24 x 7. Innovative weighing solutions backed by an experience of over 20 years. ISO 17025 approved products built by an ISO 9001 certified company. PU/PUX/PUS pallet scale: The scale can lift up to 1500kg and can prevent the ingress of dust and water thanks to the presence of an IP66 JB4A certified junction box. The other features of the scale are as follows. Power storage facility with a rechargeable battery. A host of functions such as animal weighing, zero tracking, hold, and counting. PH/PHS pallet scale: The pallet scale can weigh a whopping load of 3000kg. The other features are as follows. IP54 protection to prevent the ingress of dust and water. PHAS/PHA pallet scale: With a big capacity to weigh up to 3000kg, the scale comes with nylon casters and wheels. The other features are. The rugged, accurate, and cost effective pallet truck scales from HiWEIGH can help to improve the workflow inside a warehouse, and help a business to achieve customer satisfaction. What are the misunderstandings in ISO 9001:2015?